Furcifer verrucosus, also known as the warty chameleon, spiny chameleon or crocodile chameleon. This species is found only on the island of Madagascar. 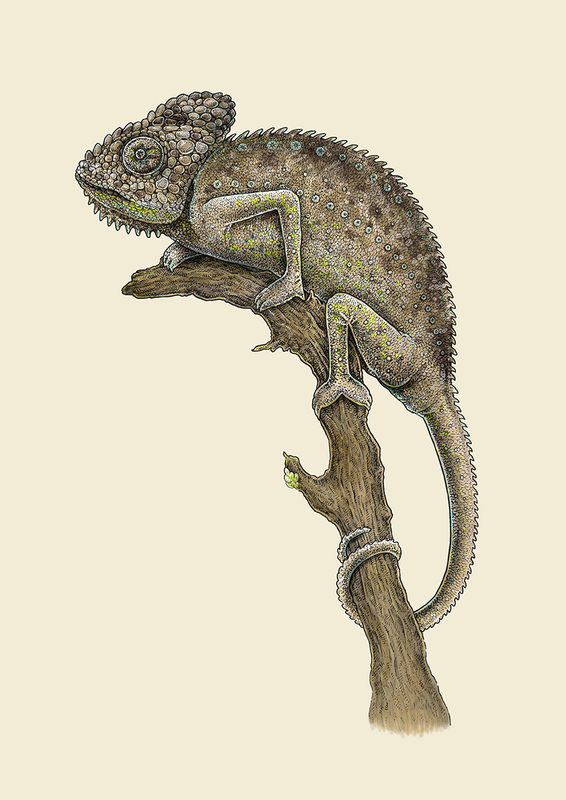 The warty chameleon is most easily distinguished by the characteristics of the dorsal crest, which consists of long (up to 4 mm), distinct spines. On the head, it has a casque – a helmet-like crest formed from scales. It is a large species with males growing to a total length of 56 centimeters and females reaching 21 cm. The primary colors are either brown or gray with dark blotches. Females are usually paler in color and males are often tinged with green on the belly, limbs, and tail.